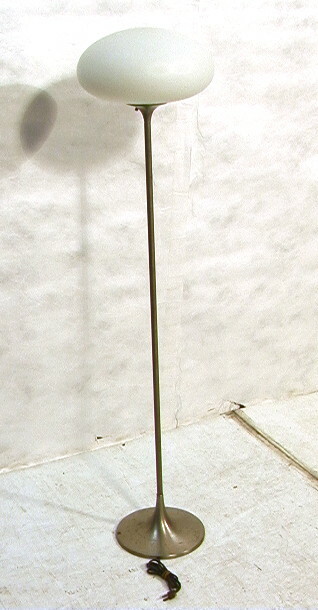 LAUREL Chrome Mushroom Floor Lamp. Frosted Glass Shade. Condition: Some finish wear to metal. Shade in Very Good Condition.